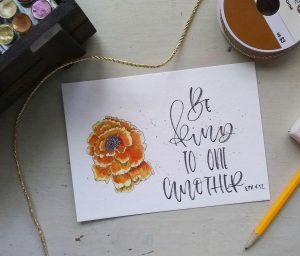 I’m over here cranking out some handpainted wedding invitations and teaching on the book of Job and trying to get our home settled and running well, that I’ve slacked in getting the January Podcast round up on the blog. I hope you enjoy these! And as always, tell me what podcasts you are listening to! You know those books that you can’t find because your child likes to read it all over the house – and so it is constantly migrating with said child. 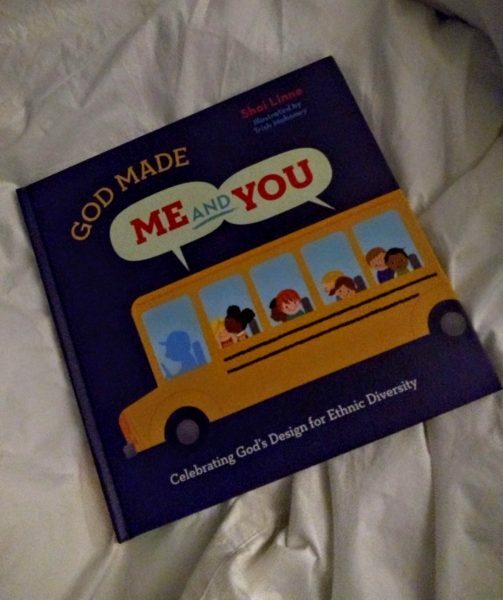 So, today, when the child walked in from the bus, I had to ask him where the book with the school bus on the cover that talks about all the children God made. He went right to it. This is definitely one of our favorite books of 2018. So thankful for New Growth press in putting it together. It shows the truths of God’s creative world in creating human being who look so different from each other but who each have value and significance just because they are made in God’s image. When so many of our churches are still segregated its hard to see this principle and truth played out at church. But, I’m so thankful for our boys going to schools where sometimes they are in the minority. And they don’t notice. They just play. I would hope that as our children grow, if we can bury the truth of God’s creative generosity in their hearts, they might have a chance to see the beauty of the gospel displayed in peace for ethnic diversity. Thank you to New Growth press for the book. All thoughts are my own. Click on this affiliate link to order directly from New Growth. Its a perfect addition to your school, home, or church library! We love reading time in our family, and I love finding books for my littles that will encourage them in truth and also that they will love. The Good News for Little Hearts series was given to me to review, all thoughts are my own. I was excited about these because of the editors Powlison and Welch. 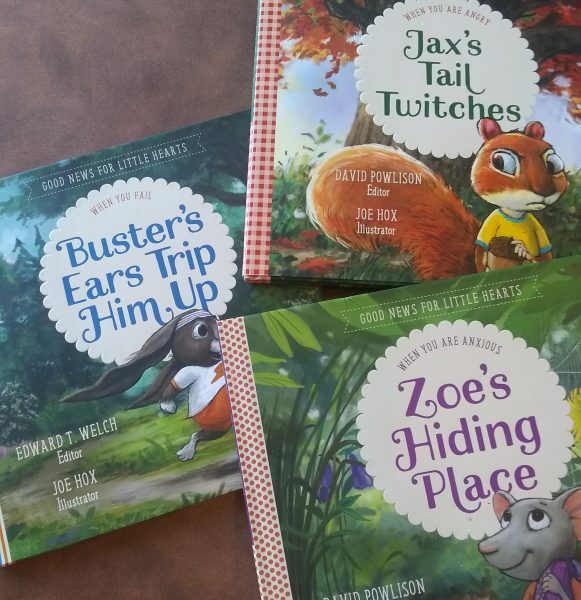 The three I’m talking about in this review are: Zoe’s Hiding Place (about Anxiety), Buster’s Ears Trip Him Up (about failure), and Jax’s Tail Twitches (about Anger). I love what they stand for, what they’ve written, etc. So, I figured it was a no brainer. And for the most part, these books are great. What they teach are spot-on. I love the extra teaching material in the back of the book. I just think they are a little much for 5-6 year olds. Maybe they would be fine for 8-10 year olds, but then the illustrations might be a little childish. So, here’s what I would say: they would probably make good books for families with a variety of ages. Because the truths would keep the attention and make more sense to the olders while the illustrations and some of the story lines would keep the attention of the youngers. Definitely use the helps at the end of each book to strengthen your teaching with your children. 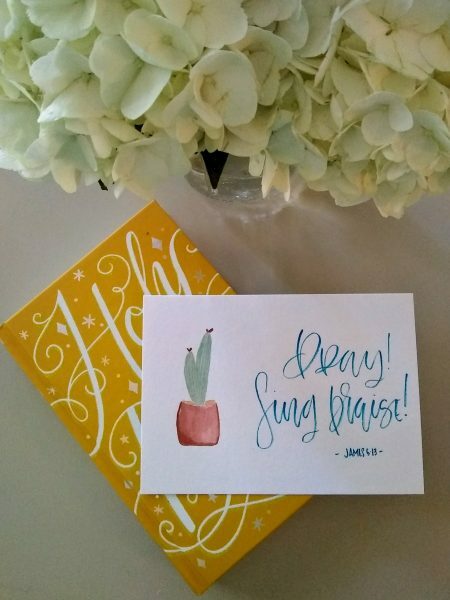 This blog contains affiliate links, so go support New Growth Press! I know this is seriously late, but Ive been still enjoying some down time and doing only the urgent things. This may not be urgent, but it is fun. So, today, I bring you the podcasts that I loved listening to in December. 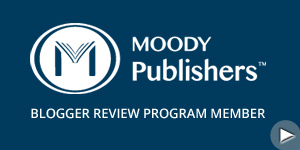 Nancy Guthrie on Teaching Children: David and Sally Michaels are wonderful. I got to know them when they were with DGM and I wrote for Providence. Next Right Thing Quiet Space. Perfect to listen to at the end of the year or beginning of the next. TGC with Don Carson on why we need the OT – so good especially with some popular preachers and writers saying we don’t need the OT. GCM with Tripp. Because he is always so gracious and full of truth and humility. This is a compilation list of some of my favorite things. Not comprehensive by any means, but I hope you will get inspiration and enjoyment out of this list. God has been good to us in 2018 as a family. He has grown my business. He has made my husband successful in his. He has grown my children in their education. 2018 hasn’t been without its trials though. I would love to leave those behind. But, God has always been and will continue to be faithful to us. Books: My goal was to read 60 books this year. That didn’t happen. I only read 52. But, that’s ok. You know. I watched some Netflix, hung out with my family, painted, prepared Bible studies, exercised outside (and I don’t like audible books). Best Fiction 2018: I decidedly read more fiction this year than non-fiction, probably just because I can read fiction faster. I re-read the Narnia series this year again, which I love to do. I read it every other year and listen to it every other year (so I switch back and forth). The Saturday Night Supper Club. Favorite Podcasts – these are the ones that I listen to almost every episode. There are definitely some popular podcasts that I just can’t listen to – the hosts or the depth of conversation just fall flat for me. I listen to so many each month. These are the ones that stand out for today. What were some of your favorites from 2018? I’m a little bit late to the game of my favorite podcasts for the month of November. We’ve had sickness and busyness over here in our home since Thanksgiving. Anyway, enjoy. Let me know what you are listening to and what I need to hear! 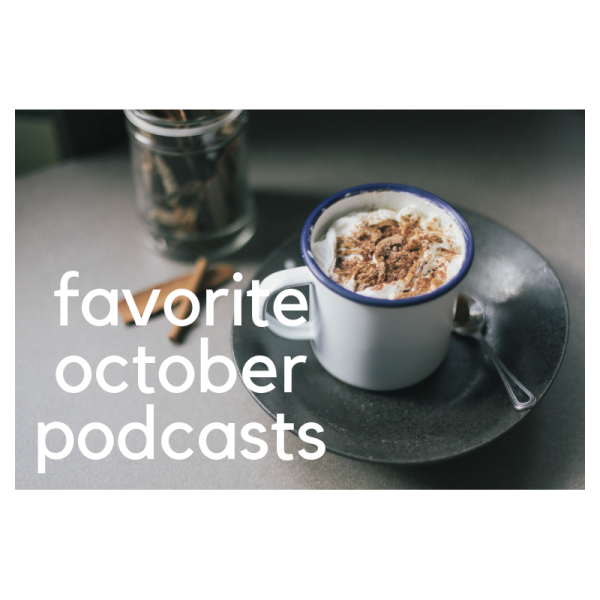 I’m a few days late in getting this out, but I wanted to share with you my favorite podcasts that I listened to in October. There are a definitely more than usual because I had more time (during my walk) and there were just really good ones. 5 Leadership Questions with Brad Waggoner – I had the opportunity to meet Dr W a few times during my time at Southern Seminary. I loved what he said about reading and being humble enough to talk about how he didn’t always do everything right. 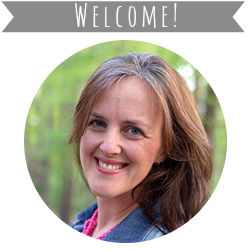 Knowing Faith about In Him Image – Jen Wilkin’s newest book and it was helpful as I am teaching on Colossians right now. Don’t Mom Alone on Idols of Mom Life with Elyse Fitzpatrick. SO good. Immanuel Nashville on Colossians 1 – good for me to hear as I started teaching this. 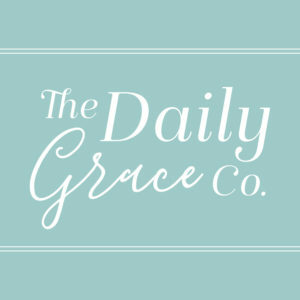 Journeywomen with Nancy Guthrie – her new book and this podcast – go listen! So, I live in the South. And it is totally not Fall yet in the deep South. I love the cooler temps of the high 60s but that’s not really fall, just maybe early summer. I did drive by a tree today that was changing colors. But, I remember last year late November when all the trees in main drive of our neighborhood were yellow and red and orange. That’s Fall. But, I just wanted to take a few moments to help get you in the Fall mood – like a Fall mood board. 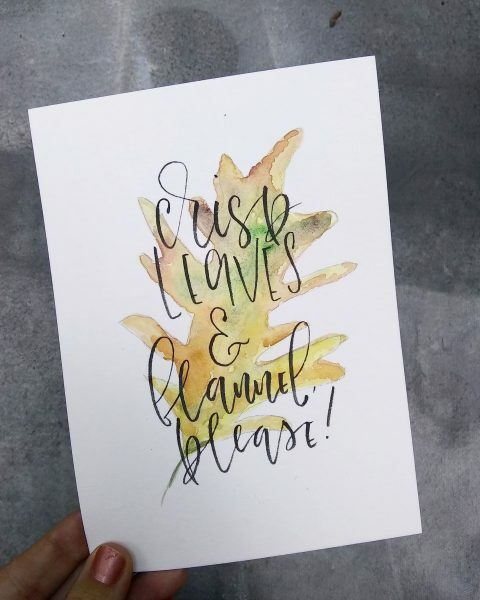 After taking a look at this list – tell me what your go-to Fall loves are? This candle is my favorite – maybe for all year, but definitely in the Fall and Winter. I’ve had it for years and totally need a new one. This Pottery Barn throw in gray – or in the light blue color. For the nights sitting on the couch reading a book after the boys go to bed. 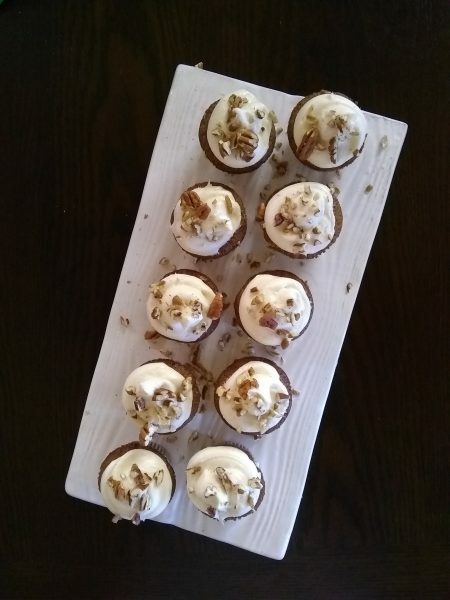 These cupcakes which I made today – but I just tasted and sent the rest to a catering event. This new to me website. If only I were that creative. Need to step up my game a little bit! For all the inspiration. What sites give you inspiration for all you do? My dream of going to this place. Just a little out of our price range, but a girl can dream right? These soups and writing from my friend. Her inspiration in the kitchen inspires mine. And we feed each other goodies throughout any given week. Be on the look out from something new from her too! This whole outfit from my friends up at High Cotton. 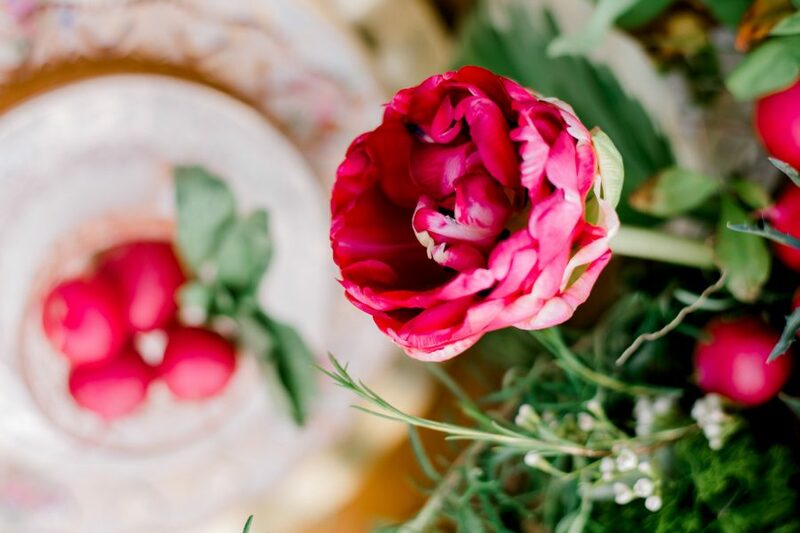 Some times it is really easy to build community over food and pretty things. Some times you need a project. My friends over at A Hosting Home built a barn door for our Master bedroom and I will be doing another post on that soon to show it off – in love is a short statement! But, my mister may be talented in many things, but when it comes to an “expert” home project, he’d rather bring some one in. So I mentioned it to my friend Ivey yesterday and her and her expert husband in the home projects department – came over today. How fast! 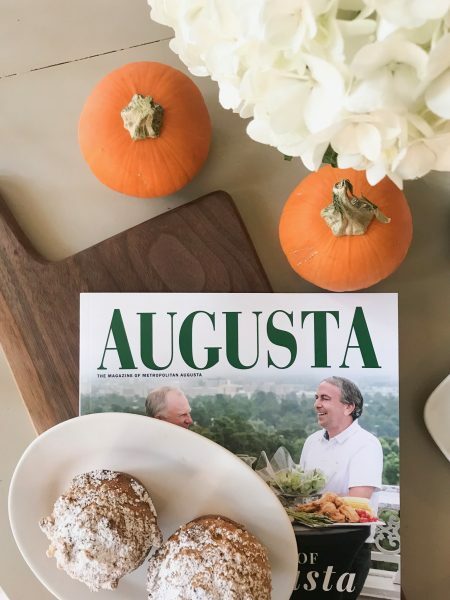 And we had fun, they worked, and had another mini food styling shoot with the new Best of Augusta magazine. I saw my first photo in an ad in the magazine – here’s to more, right? And we had pumpkin muffins. And I painted. Always paint, right? And that is a great way to build community: projects, food, coffee, and pretty things. All while wearing yoga pants and I hadn’t even showered after exercising. It was ok.
And I’m ready to giveaway this Bible – perfect for the girl in grade school in your life. Ok, I say girl because it is yellow and sparkly on the cover. But, I mean, whatever. Tommy Nelson sends some great things my way. This is the International Children’s Bible edition. Topics that kids may want to know more about are bolded within the text. Beautiful full color illustrations portray different Bible stories. It would be a great hardcover, durable Bible for your little girl. How to win: just leave a DIY project you are working on – or would be a dream to work on. And if you are curious, my mister loves the pumpkin muffins at Panera. 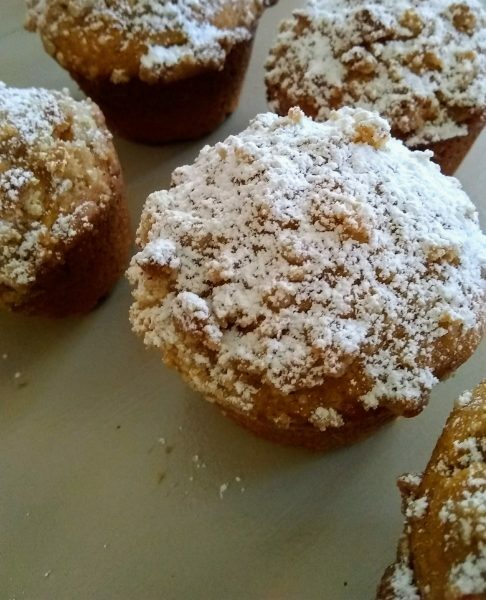 These muffins are a copycat recipe. This post was sponsored by Tommy Nelson. All opinions are my own. Food is such a part of my story, that I love sharing it with others. I remember the meal my husband cooked for me during my “year of vegetarian” when we met, dated, got engaged, and got married – he cooked the meal before he asked me to marry him. There are food stories I have that bring a smile to my face and ones that bring me to tears – either because they bring sadness or deep hurt. Weight has always been a part of my story as I have been heavy most of my life. I wasn’t even the skinny ballerina during my one year of ballet in Kindergarten, and I probably had a plus size tutu for clogging in 4th grade. I loved clogging. And I still remember some of the steps. And it still is a part of my story. I remember specific life events and the weight I was when those events happened. I’ve lost weight and gained weight so many times I’ve lost count. But today, I got to share my love of food with new friends. Being in the creative industry gives us a common ground, being mamas is another line of commonality, but today, we also got to enjoy loving food together. And I enjoyed putting it all together. One of my favorite things to do is be in the kitchen together with friends. 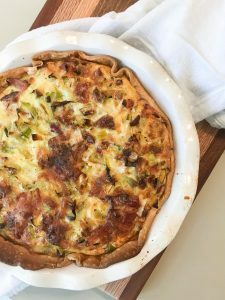 So, today, I still had to put this quiche together (go run by leeks and make this tonight for dinner). And my friend jumped right in and helped. We talked, photographed food, and made food together. Food is one of the only things in life that every human has in common. We all have food. So, food is a wonderful joiner. Hopefully. Today, we joined over conversation about our motherhood journeys, food, creative business, weddings, travel, and community. Having some friends over for brunch should not be hard. And we through in a toddler too! I just picked a few things to make – a quiche, fruit and cheese tray, and cookies. 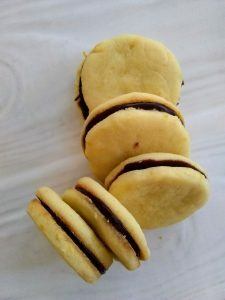 I made the cookies yesterday. 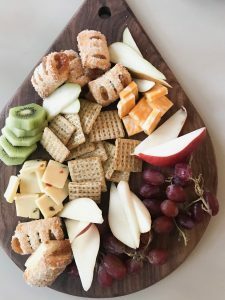 The board is super easy with just some fresh fruit, cheese, and little danishes from the Publix bakery. The quiche was made during the preparation this morning and my friend helped. Don’t be afraid of help. Allow friends (and family, including littles) to join you in the kitchen. And y’all, even though I know how to make a crust, I always use Pillsbury rolled doughs. So easy and yummy. And the cookies, I just made them yesterday as I was home and the recipe said they would be better the next day. Reading recipes is super important. And I didn’t have dirty dishes from baking this morning. And here’s a little hint: my floor hadn’t been swept, but for the most part my home was picked up. Two things: having people over regularly keeps your home clean. And if you pick up a little every day and have a husband and kids that help – it makes cleaning easier. And you know what, your friends shouldn’t care if your home is super clean or not. But, I think it is good stewardship of your home to keep it tidy. The Fall – perfect time to bring people in, hear their stories, share yours, enjoy good food, and live life with other people. And Hannah Anderson, who launched a new book yesterday, also wrote a piece today in CT about doing community with broken people (hint: we are all broken). Go read it!